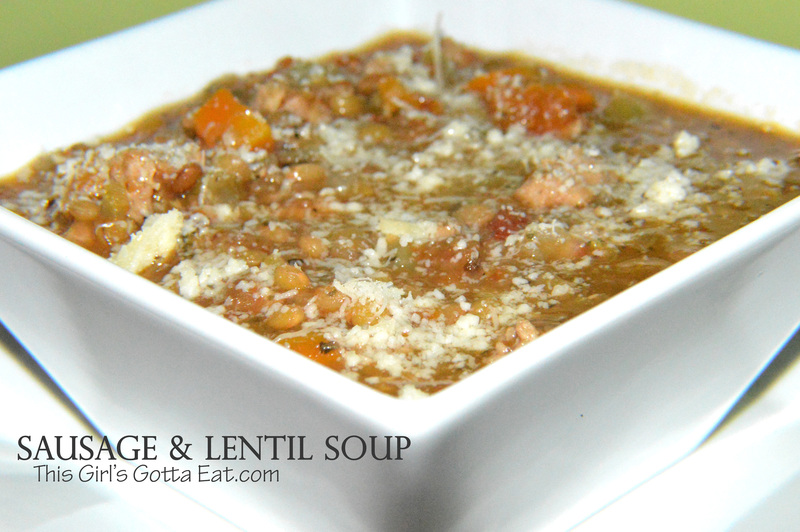 lentils | This Girl’s Gotta Eat! 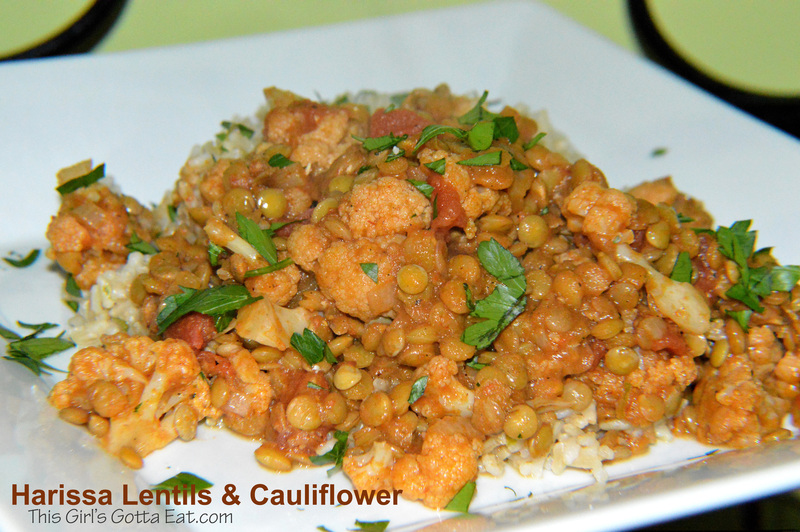 This meatless lentil and cauliflower dinner is loaded with good nutrients and offers a unique middle eastern flavor. The homemade harissa is a little spicy, but not overpowering. By using chipotles in adobo rather than other chili peppers, you actually get a smokey flavor. Add all the harissa ingredients to a high-powered blender in the order listed. Turn on high and pulse until well combined. Remove from blender and set aside. Add olive oil to a large skillet over medium heat. Add the shallot and cook for a minute or so until beginning to soften. Add the cauliflower and cook 5 minutes. Stir in the lentils and toast for a few minutes. Next, add the tomatoes, harissa and 1 cup of broth. Stir well and bring to a boil. Reduce to low, cover and simmer for 25-30 minutes, until the lentils are tender. Check often to make sure the liquid hasn’t evaporated too much. If it looks like it needs more liquid, add a little more broth. Taste and season with salt. Serve over brown rice and garnish with chopped cilantro or parsley.